We are pleased to invite you and your institution to participate in in the 5th International OXFORD SYMPOSIUM ON POPULATION, MIGRATION, AND THE ENVIRONMENT. The summer session will be held 3 and 4 August 2017 at St Anne’s College, Oxford, U.K. Alternately, you may prefer to attend the 6th International meeting that takes place 7 and 8 December at St Hugh’s College, Oxford. Attendees are welcome to either present a paper or participate as a panel member/observer. 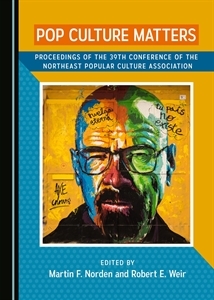 Participants of the Symposium may submit complete papers six weeks after the conclusion of the meeting to be peer-reviewed by external readers for possible publication in Symposium Books or sponsored academic journals. · Keynote speaker – David Coleman, Emeritus Professor of Demography; Associate Fellow, Department of Social Policy, University of Oxford. We welcome papers that take an interdisciplinary view of the main themes of the conference: world population increase, human migration and environmental sustainability. · The Symposium seeks to cover a broad agenda that includes disciplines such as economics, education, environmental studies, agriculture, law, political science, religion, and social studies. · Topics for presentation may reach beyond these areas; our website contains an extensive list of suggested topics. · Participant abstracts will be published online in the conference proceedings. Papers presented at the meeting will be subsequently peer-reviewed by external readers for possible inclusion in Symposium Books or sponsored academic journals. Email contact@oxford-population-and-environment-symposium.com if you have questions.